By Developer of New Theory on Beauty & Facial Plastic Surgeon Dr. Philip Young. Freshen Your Face and Feel Renewed. Microdermabrasion is a no to little downtime procedure that can help you with this. Microdermabrasion is a skin-freshening technique that rejuvenates sun-damaged and aging skin, and can subtly reduce the appearance of fine lines and scars from acne, burns and trauma. Microdermabrasion uses a device like a fine sandblaster to spray tiny crystals across the face, mixing gentle abrasion with suction to remove the dead, outer layers of the skin. This stimulating facial helps Bellevue / Seattle microdermabrasion patients uncover younger looking skin while also promoting firming through collagen production. Preparation for Microdermabrasion: For one week before and after your treatment, you will be advised to stop using electrolysis, waxing, depilatories, masks, peels or dermabrasion, acidic topical serums, Retinol, Tretinoin (Vitamin A creams) and aggressive cleansing with Loofas or brushes. 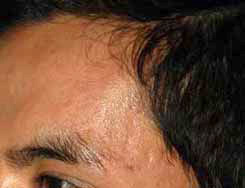 The treatment takes under a half hour and there is no down-time for the skin to recover. In most cases, microdermabrasion Seattle patients are able to apply sunscreen and mineral makeup after treatment. 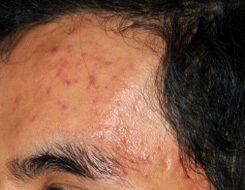 It is important to use sunscreen for two weeks prior, and two weeks after the treatment. Results last longer if sunscreen application is maintained.